For the best garden cultivators, we advocate for the Troy-Bilt 4-Cycle Cultivator if you’re looking for a versatile, easy-to-use cultivator with little guesswork. This tool will help you cultivate most garden beds with its adjustable width and 6 steel tines. However, if you have some smaller cultivating jobs, you may want a smaller and budget-friendly cultivator. Therefore, we did some research to find some of the best garden cultivator options, electric and manual, for a variety of gardening needs. Garden beds need preparation to grow your garden plants successfully. Even if you prepared your beds for the season, they’ll need some care after the growing season ends and before the next season. One of the best ways to prepare your garden area for the upcoming planting season is by using a garden cultivator. If you have only a small garden plot, this garden tool may not be necessary, or you can opt for a small, hand cultivator. However, gardeners with large garden areas can benefit from cultivating their gardens with larger manual or electric cultivators. What Does a Garden Cultivator Do? A garden cultivator helps to loosen a few inches of soil of your garden area, while also removing weeds and other dead plant debris. It’s nearly impossible to plant seeds in compacted soil. Similarly, compacted soil will not allow roots for your plants to grow properly. A garden cultivator will help to loosen the compacted soil for plant mobility, aeration, and proper nutrient supply. A cultivator has several rotating blades that dig into the dirt to loosen it, while also chopping down weeds and plant debris (source). Different cultivators have varying designs for the blades that may be able to go deeper into the soil or chop down weeds easier. You may also use a garden cultivator to help add in compost or fertilizer to your soil before planting or after the growing season. The garden cultivator will loosen up the soil so you can mix in your desired nutrients for healthy garden beds. What is the Difference Between a Garden Cultivator and a Garden Tiller? Some gardeners use the terms “garden cultivator” and “garden tiller” interchangeably. They are similar and, in fact, some machines are designed to work as both tools in one machine. 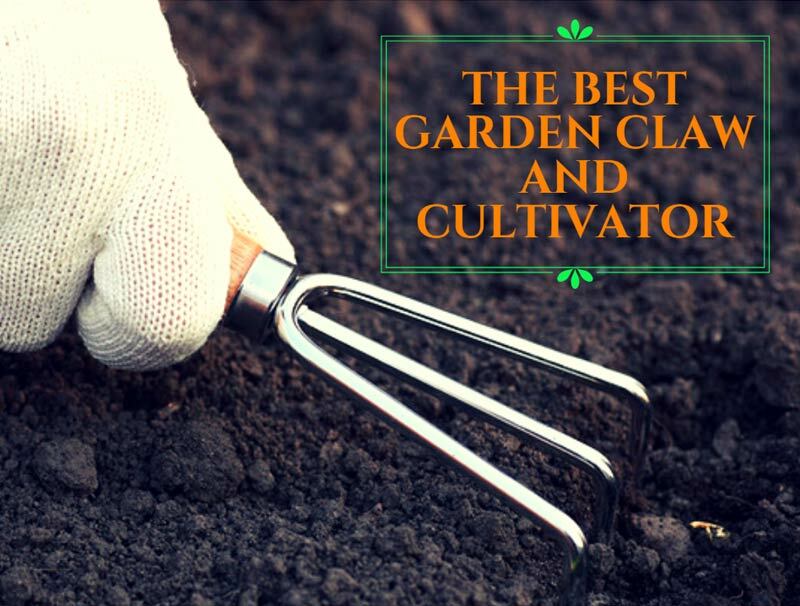 However, there are notable differences you should be aware of before purchasing a garden cultivator. Using a garden tiller should be the first step to prepare most gardens. A garden tiller essentially helps to create a garden bed. This tool breaks up the soil several inches deep, helping to remove dead plants, rocks, and other unwanted debris in a potential garden area. A garden cultivator, in contrast, isn’t quite as powerful as a garden tiller. Instead, this tool is designed to aerate the top few inches of soil to bring oxygen to plants’ roots, help gardeners mix in fertilizer or compost, and help control weeds in a garden (source). If you have a small garden area or not severely-compacted soil, a garden cultivator is a good choice for you. However, for large garden area preparation or soil that needs extra care, a garden tiller will work best. Before purchasing a garden cultivator, get to know your garden area. Has it been prepped already or used as a garden bed in the past? Does it have heavily-compacted soil? Would it benefit from using a garden tiller first? If you already have a prepped garden area that’s been tilled, you may be ready to purchase a garden cultivator. Consider it a garden tool that can help you maintain your garden bed throughout the growing seasons. You have the option to rent garden cultivators if you don’t want to make the purchase. Check with your local garden supply store, hardware store, or rental location for availability. However, since you’ll likely use your cultivator at least twice per year - before and after the growing seasons - purchasing one can save you money over renting one. If you plan on continuing to garden for several seasons, purchasing a garden cultivator may be more cost-effective (source). Hand cultivators. These are small cultivators you can hold in one hand. They usually have 3 or 4 prongs and are best for cultivating small garden beds. Manual cultivators. These cultivators typically have a long handle with a wheel at the end that turns as you push to cultivate your garden. These are helpful for mid-size gardens and are usually a more budget-friendly option compared to hitch or power cultivators. Hitch cultivators. These hook up to the back of a tractor to cultivate a garden area as you drive your tractor through. These are good for very large garden areas. Power cultivators. These cultivators have a motor to relieve some of the physical strain of moving the cultivator through soil, and can also be more efficient in loosening soil and cutting weeds (source). As with any tool, you should take some safety precautions to ensure that you don’t get injured when using a garden cultivator. Hand, manual, and hitch cultivators are fairly safe to use. But, power cultivators have motors that can cause more unpredictability when cultivating. Before using your garden cultivator, inspect its blades. Are they all secured and free from any materials? Check for wear and tear, and replace immediately before use, if necessary. Also, read the owner’s manual to ensure you know each step to properly handle the tool. Then, protect yourself. Wear long sleeves and pants, thick boots, gloves, and protective eyewear when cultivating your garden. This protects you against potential flying debris, like rocks and soil. When using your cultivator, don’t strain yourself. Allow the machine to move in the direction you’re facing, without forcing it. Use slow, parallel and perpendicular movements, slightly overlapping each line as you move the opposite direction (source). We recommend the Troy-Bilt 4 Cycle Cultivator as the best garden cultivator for most gardeners’ needs. This powered machine can adjust its width between 6 and 12 inches, and cultivate soil up to 5-inches deep, so it’s an excellent choice for small to mid-sized garden areas. Additionally, this garden cultivator takes the work away from you besides a gentle push. With its available JumpStart Technology, the engine starts without you needing to pull a cord. Gardeners who suffer from back pain will surely appreciate this option. If you’re a serious gardener, you likely have a lot of gardening tools taking up space in storage. Your garden cultivator doesn’t have to be one of them. Opt for a model like this one, with a folding handle for convenient storage and transportation. The Troy-Bilt 4 Cycle Cultivator with JumpStart Technology is the best garden cultivator for those who need an efficient, powerful tool to last them season after season of gardening. Your gardening efforts don’t have to entail hard, physical labor. Make the job easier on yourself with a powered garden cultivator.